As much as I’ve been all about baking with fruit this summer, only chocolate would do for my birthday cake last week. Chocolate has to be in the picture somewhere for birthdays, at least as far as I’m concerned. I had my mind set on a flourless chocolate cake after I recently enjoyed a slice at Rubirosa here in NYC. As part of my collaboration with Haagen Dazs’ Moment for Me project, Quinn and I enjoyed a date night at Rubirosa, a quaint Italian restaurant in Nolita. We both love Italian food, so it was a great choice for us. The theme of August’s Moment for Me box was “Love the Ones You’re With,” and we were so happy to have the opportunity to have a nice dinner at a new-to-us place. We do so enjoy going to dinner and just enjoying the food and the company for a couple of hours. Of course, special occasion dinners absolutely warrant dessert, and that’s how I found myself devouring an amazing slice of flourless chocolate cake. I chose to make Baked‘s recipe for this kind of cake. I’ve always had success with their recipes, and playing it safe sounded like a plan. This cake did not disappoint. 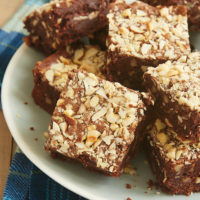 It’s rich and dense and fudgy and so over-the-top chocolate. The cake is plenty of chocolate on its own, but the ganache really pushes it to the next level of chocolateness. This particular recipe also includes a ganache topping. Now, that is absolutely optional, but it is pretty amazing. 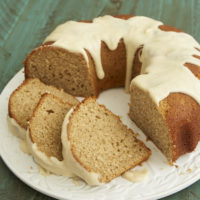 If you’d prefer to skip that extra step, then this cake is perfectly lovely served with ice cream or even just topped with a sprinkling of confectioners’ sugar. Quinn and I teamed up on baking this cake. After all, it was my birthday so surely I don’t have to make my birthday cake all by myself, right? There are several steps involved in making it, but none of them are difficult. Plus, it goes pretty quickly when you have help. 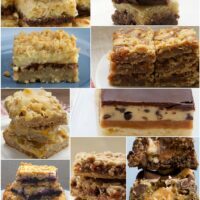 Scroll past the recipe for the latest Baker’s Bookshelf Giveaway! If you want a full-out chocolate dessert experience, look no further than this Flourless Chocolate Cake with Chocolate Ganache. Preheat oven to 350°F. Generously butter the bottom and sides of a 9-inch springform pan. Line the bottom of the pan with parchment paper. Butter the parchment. Place the chocolate in a microwave-safe bowl. Heat at half power in microwave in 30-second increments until the chocolate melts when stirred. Set aside to cool. 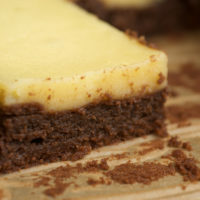 Using an electric mixer on medium-high speed, beat the butter and sugar until light and fluffy. Reduce mixer speed to low. Add the egg yolks, one at a time, mixing well after each addition. Scrape down the sides of the bowl as needed. Add the cooled chocolate and mix until combined. Mix in the vanilla. In a large bowl, whisk the egg whites and salt to stiff peaks. Gently fold about 1 cup of the whipped whites into the chocolate mixture. Add the remaining egg whites and continue folding gently just until combined. Bake 30-35 minutes, or until the top of the cake is set. Do not overbake. Transfer the pan to a wire rack to cool completely. Once it has cooled, use a thin knife to loosen the cake from the sides of the pan. Then, remove the sides of the pan. Invert the cake onto a wire rack and peel off the parchment paper. Use another rack or a plate to flip the cake upright. Combine the cream and corn syrup in a small saucepan. Bring to a boil over medium heat. Remove the cream mixture from the heat and pour over the chocolate. Allow to sit for 2 minutes. Slowly stir the cream mixture and chocolate until the chocolate has melted and the mixture is combined and smooth. Whisk for 2-3 minutes to cool the ganache slightly. Stir in the vanilla. Place the cake on a wire rack, and place the rack on a parchment-lined baking sheet. Pour about 3/4 cup of the ganache over the cake. Use an offset spatula to smooth and spread the ganache just to the edges of the cake. Place the cake in the freezer for 5 minutes to set the ganache. Then, pour the remaining ganache over the cake, allowing the glaze to run down the sides of the cake. 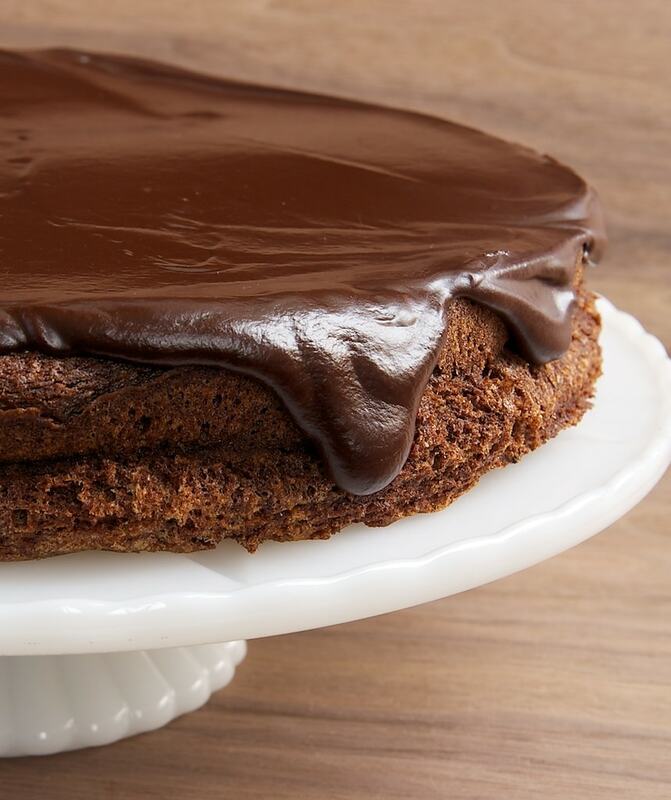 You can use an offset spatula to smooth the ganache evenly on the top and sides of the cake, or just let the ganache pour over the sides naturally. Chill the cake for 2 hours, or until the ganache has set. 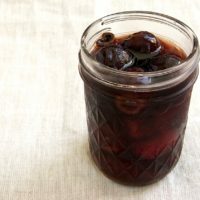 *The original recipe uses Kahlua. I think that sounds lovely, and I wish I had had some when I was making this ganache. Oh, well. Next time! Recipe slightly adapted from Baked: New Frontiers in Baking. In last month’s newsletter, I gave subscribers the chance to choose the next book for the Baker’s Bookshelf Giveaway. The result was decidedly in favor of Baked: New Frontiers in Baking. As coincidence would have it, that landslide vote coincided with my craving for this cake, which just happens to be one of the many amazing recipes in this book. Delicious things like this cake and these cookies. I am the proud owner of all of Baked’s cookbooks. They are all just amazing. And, I’m so happy to be giving one of you a copy of Baked: New Frontiers in Baking! I have been chosen by Haagen Dazs as an ambassador for their Moment for Me campaign. 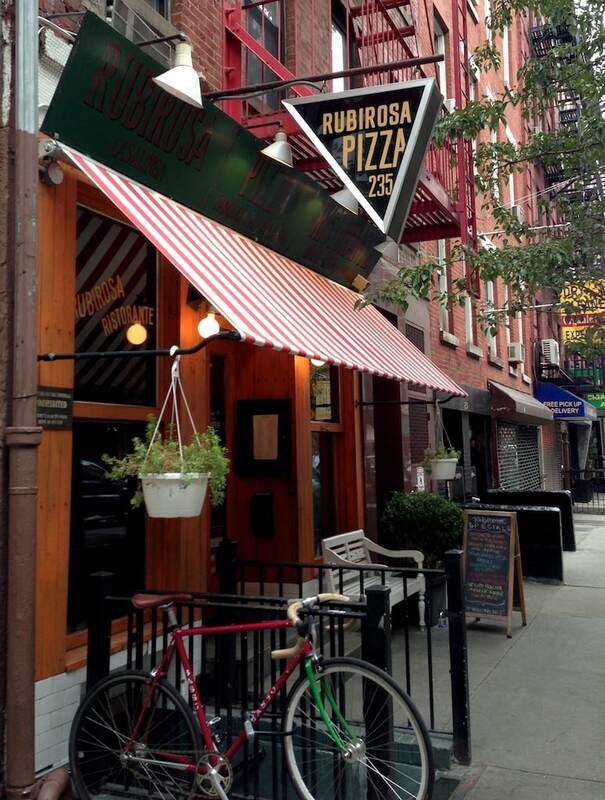 I was provided with a gift card for Rubirosa. This post is not sponsored by or affiliated with Rubirosa or Baked. All opinions are my own. I own Baked’s cookbooks, and I adore them. This looks like the perfect cake to celebrate a birthday. Happy belated! Happy Belated to one of my Favorite food Bloggers!!! 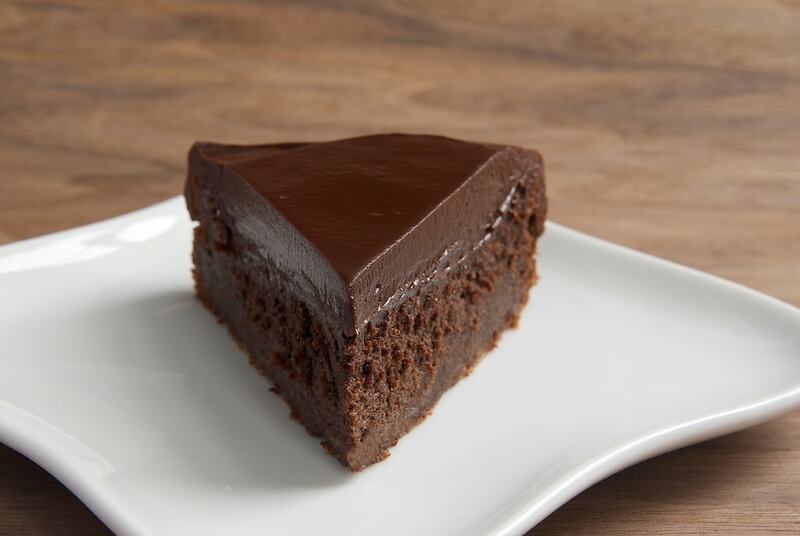 That slice of chocolate cake looks perfect in everyday!! Hi, Mary! I have some very willing taste testers who are glad to take the extras. That looks wonderful Jennifer. I especially liked the slice. Could have happily whipped that off the plate will you were looking in the other direction! ThisCake loos amazing! i just wondering the texture.. it must be very light and airy. Javi, it’s dense and a bit fudgy. Mmm….delicious looking! I really like a simple dense chocolate cake that my local Wegman’s bakes. But a slice of chocolate pecan pie is always a fall treat to be enjoyed as well! Thank goodness fall is upon us! Now I can enjoy a slice with a hot cup of tea and a book! If I had that cake in front of me now, I might have to consume the WHOLE thing…It looks VERY nice. The recipe sounds amazingly good. Beautiful pix! This cake looks fantastic! I’ve had flourless chocolate cake before, but never with ganache. I can only imagine how much more decadent it would be. I am definitely bookmarking this. I said to myself the other day that I would keep things simple this year and make a flourless chocoloate cake for my birthday. And here it is, a recipe for flourless chocolate cake! I’m always wary about flourless cakes because so many of them are dry…but this looks crazy insaney fudgy! Gotta love those Baked boys and their cakes! Girl, you can never have too much chocolate on your birthday. That should be a life motto! Cake looks fab! Gorgeous cake. I’ve never made a flourless cake before but I’ve got to try this one. Hope you had a great Birthday. Oh man Jennifer this looks amazing. That oozing ganache is just killing me! Flourless chocolate cake has to be the most delicious and decadent thing. I would love a slice!! I made this cake today and just love it!! I had some Chambord so put some in the Ganache, it was fabulous! I baked my cake for 35 minutes and the top was set but when I flipped it out of the pan, it was soft in the middle. Is this normal for this cake. It remeinded me of the molten cakes somewhat. Delicious!! It is a soft, delicate cake, but it should bake through thoroughly. I would happily bake your birthday cake and use your favorite recipe! It’s so much fun to bake for fellow bakers who appreciate it! So I’m making this for my cousin’s wedding. I just pulled it out of the oven and it smells delicious! Question: the top is set but I can tell that the inside is not quite set (its a little jiggly). Is that right?? Hi, Ali. If the top is set, it should be done, but you can always let it bake a few more minutes if you like. Hi! If you were to add Kahlua, where would you add it and how much? Thanks!